- Private Pool **Pool heating is available for this property from October 1st through May 1st for an additional fee of $25 per day. No diving permitted. Pool and sitting spa are heated together. 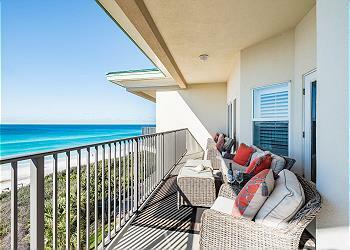 LOCATION: This home is within walking distance to the beach. DETAILS: 33 Atticus Road is a beautiful, newly renovated 3 bedroom/ 3.5 bathroom home in Rosemary Beach! This lovely cottage plus carriage house offers accommodations for up to 12 guests. Enjoy a movie night or game night with the entire family in the open living space. After a little fun indoors, gather around the outdoor fireplace for s'mores and stargazing in one of the best locations in Rosemary Beach. Located just north of 30A and steps away from the Rosemary Beach Town Center, 33 Atticus Road provides plenty to see and do! Hop on one of the 4 bikes and explore the many shopping and dining options in Rosemary Beach and its neighboring communities. Check availability and book with 360 Blue today! OTHER AMENITIES INCLUDE: 4 adult bikes provided, private pool, gas grill. This property comes with 1 dedicated parking spot. Additional parking can be found throughout the community. Complete Clean Linen Participant - ALL linens, including comforters laundered upon every checkout. The location of this home relative to everything you\'d want to do while at the beach is fantastic. A very short walk and terrific location to all the local restaurants and evening entertainment. The outdoor living space and pool is very nice and a great place to sit and relax at the end of the day. My only concern was the refrigerator ice maker did not work and the clothes dryer took a very long time to dry the laundry. 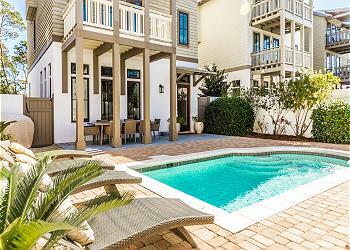 We are so delighted that you enjoyed your stay with us in Rosemary Beach at this amazing home! We agree that the location is tough to beat and is a great place to spend your vacation! Thank you for your valuable feedback and staying with 360 Blue, we hope to see you again! The location of this home relative to everything you'd want to do while at the beach is fantastic. A very short walk and terrific location to all the local restaurants and evening entertainment. The outdoor living space and pool is very nice and a great place to sit and relax at the end of the day. My only concern was the refrigerator ice maker did not work and the clothes dryer took a very long time to dry the laundry. This is a beautiful property in a great location, however we wouldn't stay there again. This property stinks really bad...It did not smell clean at all. Even after you sent someone over twice to fumigate,it was still really stinky. Even my kids commented on it several times. I have NEVER noticed the smell of a property where we have stayed before and we have stayed at countless properties over the years... the smell of this house was a major drawback of our experience this past week unfortunately. I have rated this Property as a 1 due to the awful smell. We are so sorry that you all experienced a smell during your stay at this home. We will be sure to share this feedback with our team in an effort to locate the source of the said smell. We appreciate your valuable feedback and we thank you for staying with 360 Blue! My family and I loved this house! The only problem we had was with seating in the living room. There was no way for all of us (6 adults,1 toddler) to comfortably sit in the living room with only one small couch and two uncomfortably small chairs. There would be plenty of room to fit a sectional in the area and we believe this would greatly improve the comfort of this home. Other than that, we really enjoyed our stay. The location was perfect and the carriage house was great to have with a toddler for nap time and early bedtimes. We are so thrilled to hear how much you and your family loved this home and your vacation in Rosemary! We especially loved the photo you shared with us! 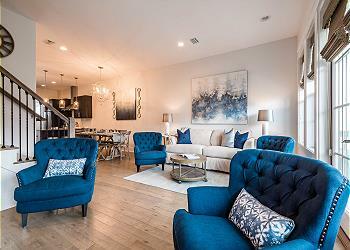 We are happy to announce that the owners have added two full sized couches and two chairs to the living room to add to the comfort of this home! We look forward to seeing you all again soon! Beautiful home with an incredibly convenient location! Very functional layout and plenty of dishes, cookware, etc to eat in. Our children loved taking a dip in the pool each evening after a short walk home from the beach. We highly recommend 33 Atticus and plan on returning for our annual Rosemary trip next year! What a beautiful family photo! We are so happy you had such a wonderful vacation in Rosemary! 33 Atticus is such a gorgeous home and the pool is a great bonus. Thank you for staying with 360 Blue and be sure to come back and see us again soon! We were nervous about the conditions of the home due to prior reviews however 360 fixed all issues prior indicated in reviews. The house, the pool and and the location made our stay a great experience and any issues we had 360 took care of it within hours. Thanks for everything 360. We are so happy we were able to ensure that everything was taken care of for you and that you were able to enjoy your stay in this incredible home We loved having you with us and hope to see you back soon! We have been coming to RB every October for many years. As usual we had a wonderful time. This is a great house in a great location and will definitely be back. What a stunning sunset photo! We are so pleased to hear that you enjoyed your stay with us in Rosemary Beach! The location of this home really is perfect for exploring all the community has to offer! Thank you for choosing 360 Blue for your beach vacation. Come back and visit us again soon! Had a great stay in Rosemary Beach. It was my first time in that part of Florida and glad I went. The home was beautiful and well kept. Each bedroom had tvs and the kitchen was equipped for us to buy from the local farmers market and prepare in the house. I would definitely come back again and stay here. We are so happy to hear that you had such a wonderful stay. 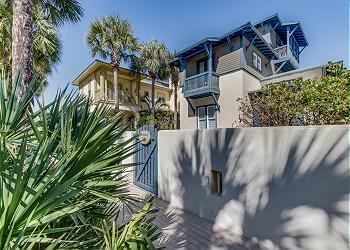 Rosemary Beach is a truly remarkable community and this beautiful home is the perfect place for a beach getaway. We enjoyed having you with us and look forward to seeing you again soon! We just finished our second stay at this beautiful house. I have to say we now consider it our "home away from home." We love the house itself, the pool is great, and the location is fantastic. We love being so close to the town center and just an easy, quick walk to the beach as well. The house is always very clean upon arrival and 360Blue's customer service is great. Such a beautiful photo! We are thrilled to hear that you love this home as much as we do. We loved having you with us and hope to see you back again soon! What a special place Rosemary Beach is! And to be able to stay at 33 Atticus Rd. made our time even more special! The home was immaculate and so nicely laid out. I loved the attention to detail and the amenities offered from kayaks and bikes and pool to the amazing location. We definitely plan to return! Thank you for that time! Absolutely breathtaking photo! Rosemary Beach is definitely a special place. We are so happy to hear you and your family had such a great stay at 33 Atticus Road. Thank you for staying with 360 Blue and we hope to have you visit us again soon! We are so happy that you had such a wonderful stay in this beautiful home. We loved having you with us and hope to have you back soon! We had a phenomenal week in Rosemary and this property was perfect for our party of five. It is centrally located, so we walked to he beach, activities, and meals near by at yummy spots like Paradis, La Crema, and George's. We took the bikes for a ride along 30A one morning and were so happy to come back to our private plunge pool to cool off. The house was beautifully decorated and super comfy, and the carriage house was a treat providing privacy for those who wanted to sleep in. Thanks for a wonderful week in your beautiful space. We will be back...no doubt about it. The water looks perfect! Thank you so much for sharing your vacation with us. We are so glad that you had such a wonderful time in this home. We look forward to having you back soon! This house is lovely and very welcoming. It was clean and neat, and the kitchen is well equipped for cooking, and all the furniture is really comfortable. It has a swimming pool which is really convenient. The house is located right in town where you can go shopping and go to a restaurant and a few steps from the beach, we didn't need the car. It is a good house for the hole family and/or friends. My friends and I have so much fun and we hope that everyone can enjoy it! Great pic! Thank you for sharing your feedback! It is so great to hear you enjoyed the home and the ideal location that it's in! We hope to have you all back again soon, thank you for staying with 360 Blue! 33 Atticus Road was a beautiful home that is newly remodeled and conveniently located. We vacationed with another family and loved the added space and privacy of having both the main home and the carriage house. The furnishings were very nice, yet comfortable. We cooked most of our meals and found the kitchen in the main house and the kitchenette in the carriage house to be well equipped. Our children loved the heated pool and played in it several times every day. The adults enjoyed chatting by the outdoor fireplace. 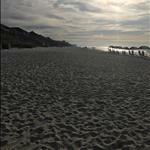 We loved the location, just steps away from the center of town and a pleasant walk to the beach. It was also nice that the rental included a few bikes so we were able to explore the area easily. We only drove the car once during our stay to go to the grocery. Every detail was considered. 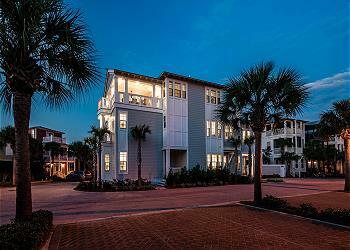 We highly recommend 33 Atticus Place and will definitely stay at this home on our next visit to Rosemary Beach! This photo is so cute! Looks like they are happy and relaxed, and we're so glad to hear the adults had an equally wonderful time! Thank you for sharing your experience with us, and it's great to know you enjoyed the home so much. 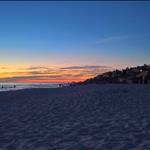 We look forward to seeing you in Rosemary Beach again soon!